There are few who do not enjoy music, and from the ones that do, pretty much everyone loves it clear and loud. This is where high quality best bookshelf speakers under 300 dollars come in. These are usually small and compact so they can fit right into your bookshelf. But, they also provide sound much greater than their sizes. A lot of factors need to be taken in before buying a bookshelf speaker. The easiest way to do this is by heading to a store and checking the sound quality, but one might not always have the time for it. You may order off of a website where you will have to choose one from hundreds simply by the specifications. This invites in a lot of technical and unfamiliar terms that will surely confuse you. Things like impedance and woofer size play an integral part in telling you what to expect from a particular speaker. This article breaks down this crucial information. Thus, you can know more about what you are buying and can make the right choice depending on your needs. It also lists some of the best bookshelf speakers you can score for a very reasonable amount of under $300. Founder of the Klipsch, Paul W. Klipsch was an inventor and an engineer. He was a definite genius for creating this masterpiece of a speaker that is loved by audiophiles all around. 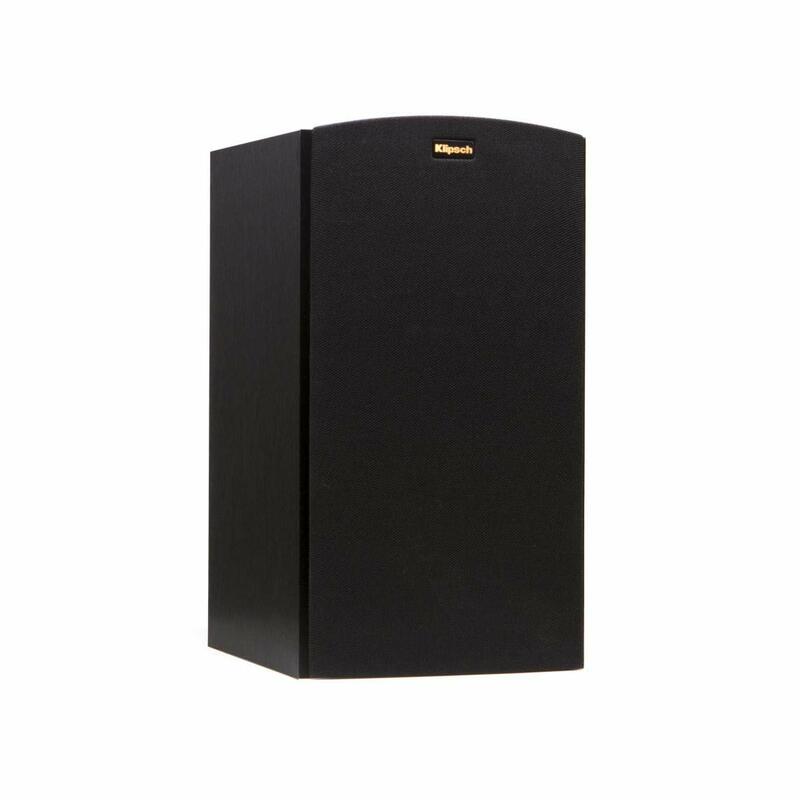 The Klipsch R-15M Bookshelf Speaker primarily attracts customers with its beautiful black exterior. There is also a hint of shiny copper that compliments the black background and goes all sorts of interiors. The speaker gives off a classy and elegant vibe, all the while being super-efficient at its job. It leaves very little footprint, a great product for the environment conscious people. It is a great option of minimalists due to its compact design. Though the delivery of sound is anything but simple. Although the small size is deceiving to the eye, the woofer is more than powerful than you would imagine. This is especially clear once you turn this little box on and hear it for yourself. Despite the size, it packs a punch of sound to the point that it will not even require a sub-woofer. Since it is small, the bass is not as loud. Though it is more accurate and to the point, which a lot of people prefer to the loud bass without clarity. 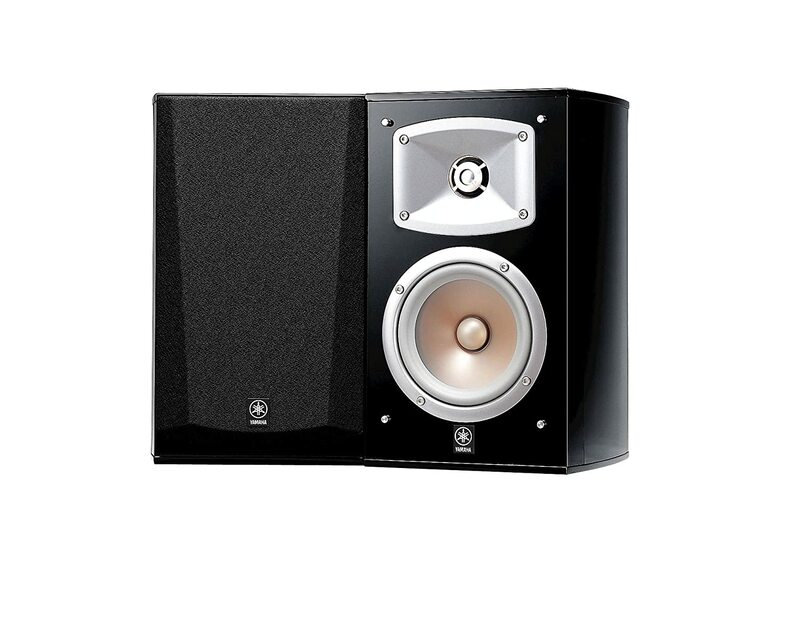 These pairs of Klipsch R-15M Bookshelf Speaker are a great upgrade over any other ones. You may be rest assured to hear sounds and nuances you had not been able to beforehand which will help you achieve a new experience in the world of sounds. The driver is a 5.25”, but despite that, the low-end extensions perform well. There is no shrillness, but the audios actually sound pretty massive. It will, however, take a while for the sound to get better. Right away, you might not feel the punch with these speakers. But after a few uses once you give it some time, you will surely see the difference and be glad of the purchase. A small con is that the low ends are not fully pronounced but it is nothing a good subwoofer could not solve . But, if you are okay with a normal range in a reasonable price, this pair is a great choice. 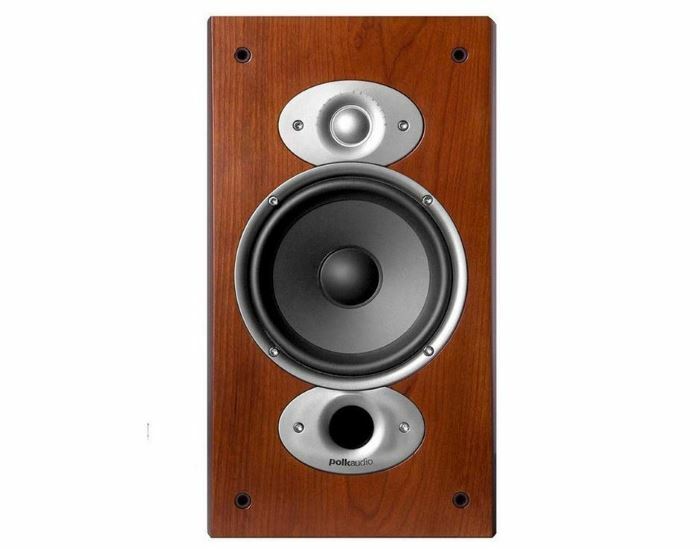 The Polk Audio RTI A3 is a pair of Goodling speakers with a wooden exterior in cherry. What catches attention at first is the beautiful exterior material that oozes with warmth tones, and the woofer. The tweeter and air-port found at the front also compliment the wood. Also, they give the speakers an expensive and classy look at an average price. For anyone who wants their speaker to not only sound good but look good as well, this should definitely be on the list. Polk is a brand known to be very durable and well performing with their devices. That includes the speakers as well. Most of the buyers are users who were looking for an upgraded and long lasting model. Looking into what users of this newer model had to say, most of the user reviews are positive. These speakers can easily compete with some of the biggest brands in the market. Let us come to the main part, which is the audio quality in these Polk Audio RTI A3 Bookshelf Speakers. The bass is very rich instead of being too overpowering and loud which most people do not seem to favor. The tonal quality is clear and crisp, giving any user the feel of being at an actual concert. You can now experience concert music from the comfort of your own living room. Some people may consider bookshelf speakers to be of a lesser breed to standing speakers. This one surpasses even stand speakers in performance. And, when paired with the price, users really cannot get enough of it. Cons include the fact that some users prefer this as computer speakers instead. This is mainly because they feel it has low responses and no high-end fidelity. And this might not suit their living rooms. Another advice is to have your measurements done right. This is because these are larger in real life than they look in pictures. So, the wrong measurements can have you sending these back and going through a lot of trouble. Take measurements beforehand, and enjoy these speakers hassle free. 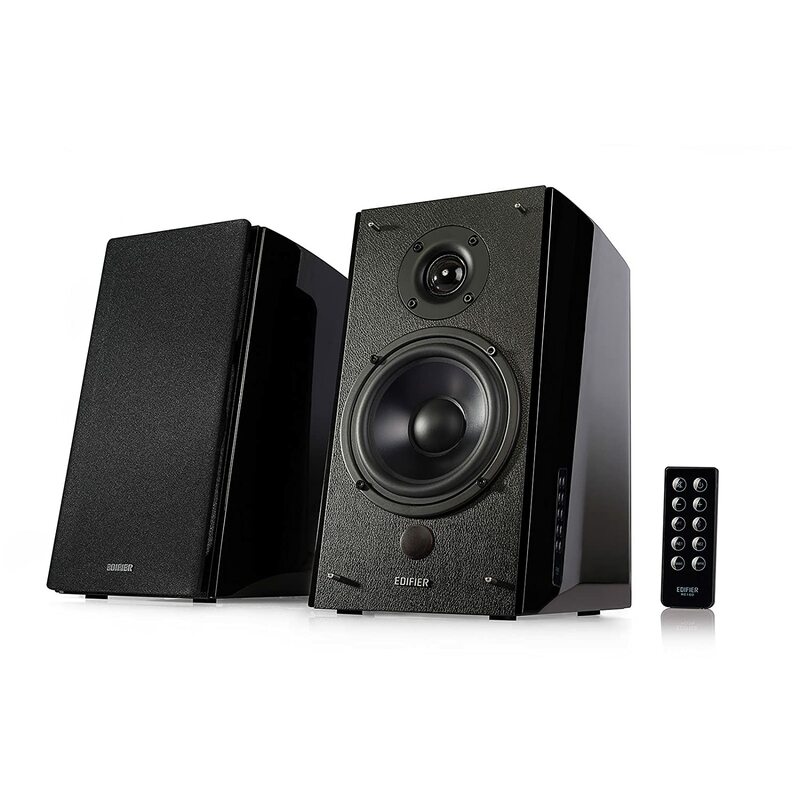 The Yamaha NS333 has been specifically designed to mimic the effect of home theatre. Yamaha as a brand is very well known for their gadgets and have held up the quality for ages. This pair of speakers from them is no exception to it. They have some of the best quality audio devices you will get your hands on. Yamaha is dedicated to a Natural Sound philosophy, which creates sounds without interventions or alterations with artifacts and coloration. This is possible due to the use of best components and manufacturing practices. Any user will be able to guarantee this philosophy; the products definitely live up to the hype. The high quality audio playback is as natural as it can get, thanks to the customs, beliefs, and techniques of Yamaha. There are no additions or subtractions of the sounds or tones. So, you get to hear exactly what the original sounded like. Be prepared for an authentic experience! The highs are bright, and not brittle at all. The mids are open and warm without any muddle with beautiful staging. The lows are pretty tight and deep which will compliment most sorts of music and audios. A common problem with many speakers is that the sound gets distorted at high volumes. This is a problem you will not come across with this pair. Even at very high volumes, there is no strain and the sounds come out just as smoothly. So you can crank up the volume without worrying about losing the playback quality. One of the cons includes the fact that these speakers will need subwoofers if they are to be used for home theatre purposes. Needless to say, you need to pay more for the optional subwoofer. According to feedback, these speakers are very power hungry. Without the right equipment, you will not be able to get these to work up to their greatest potential. If you do decide to invest in this equipment to pair with the main speakers, it will give you one of the best audio experiences you could hope for, and the investment will be worth it. 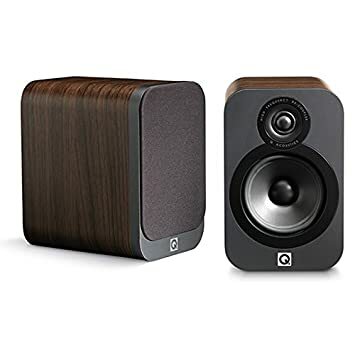 The Q Acoustics 3020 Bookshelf Speakers are marketed as the “The natural choice for small and medium-sized rooms” and it is exactly what it says. At a very compact and tiny size, this one will blow you away with its up-there features and a heap of love from the users in their reviews. The 2-in-1-ring dome tweeter is responsible for the clear and open sounds. Though the size may put you off at first, its performance will not. All in all, what you get with this pair is a three-dimensional sound stage with precise sounds. The bass on this is more on the precise side and less on the loud side. It is more about the impact, which is decent. It allows you to clearly hear most of frequencies without it getting distorted at higher volumes. Experimenting with sounds gets easier with this as every different tone is clear. The speakers are small in size and specifically designed for smaller to medium rooms. Hence, the power of the bass is limited to that. Using this in a larger room will not make it perform like it is supposed to. Users can, however, add in subwoofers if they feel the need to increase the woofer power. Some users have said that after switching to this pair of Q Acoustics 3020 Bookshelf Speakers they can now hear tones and sounds that they previously could not with their older models and speakers, and that they could not be happier with the investment. The design is another feature that customers love about this model. It has a very high-end feel to it even though it is not priced like one. The striking graphite tones go with many different interiors and look very contemporary. The budget is a definite win here given the great features and qualities and users seem to think so as well. Super clean sound, a great build, quality exterior materials are some of the things this pair sums up to. This is in addition to the most flawless natural sounds that will make you want more. These Edifier R2000DB Powered Bluetooth Bookshelf Speakers come with Bluetooth technology. This is a feature not available with most other models in this list, making it one of a kind. If wireless is how you like to go, keep this model on your checklist. First of all these speakers are known to be super flexible. Why? They not only serve as a home theatre as they can be used with computers and gaming consoles as well. High gloss piano finish is what describes the outlook of these super sleek speakers. Such an exterior goes well with a majority of modern interiors. Users love everything about this set, right from the start where you have to set it up. It is fairly easy and professionals are not needed. The build quality is great as well, very sturdy with great finishes. Some users had been skeptic of using these in their bedrooms, but they did not disappoint. One of the pluses of this model is that this comes with a built-in amplifier. Buying it will enable you to the save cost of getting an extra one for your desired sounds. The pricing definitely puts one off at first. But, after a good trial, you will find that even though this is not priced as highly, it has high-end attributes. It surely performs like a high-end speaker, and according to some users, is even better than a high-end one. Users were blown away by the sound quality. From the range of it, to the beautiful crystal clear sound reproduction, pretty much everything is on target. One can crank this up to real high volumes and the sounds will still not feel distorted or broken, but will be just as clear. But according to purchasers, you will not even have to turn this up to the full volume to get the best out of it as the volumes go real high. The highs and lows can be heard clearly and have the right balance to them without either distorting away. 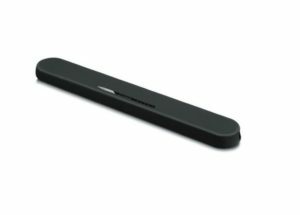 The base is warm and gives you a full and rich audio experience. ELAC Debut 2.0 is priced very close to 300 dollars. To avoid the situation when the price goes up and exceeds $300 budget, I have temporarily removed the affiliate link. I will check price and add the Amazon link as soon as the price will drop below the $300 price range. 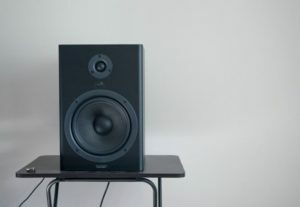 The ELAC Debut 2.0 by Andrew Jones sports a beautiful classic black design. It is mainly popular for its great performance at affordable prices. The B6.2 bookshelf speakers are compact in size, making it convenient to keep in small spaces. This upgraded version of the original speakers has been widely loved by buyers. Unsurprisingly, they are considered to be better than the previous versions. While the original ones had to be placed in specific places to get the best sounds out of them, these do not. They can be kept anywhere and one would still enjoy the same quality of sound. The tweeter is more resolving than before. And so is the bass that is punchier and has more depth to it. It has a nice balance to it, which makes the sounds precise while loud. The sounds are clear and users have had a resolving experience with it. The highs and midranges are good on this passive speaker, and the efficiency is also loved. Many practicing musicians have also given this a thumbs-up for the quality. They say that it is definitely up to the mark even though it is not a high-end or pricey machine. There are no noticeable distortions, regardless of the type of sounds playing. Used in theatrical films to music shows, its performance has been fairly great. The main pro of this speaker is that the sound is super clear. Indeed, the quality of the sound is no less than extremely expensive models. The highs are not too crisp that they will hurt the ears. The lows are not too soft, as they are balanced perfectly with the highs. There are some cons to it. These speakers do not support Bluetooth, so one has to keep that in mind while buying it. These speakers are made for traditional speaker use. So, they need to be manually connected with a cord to operate. To use Bluetooth though, all you have to do is get a Bluetooth adapter. The speakers also need a good amount of power to give out its best performance. You may try pairing it with a vintage amp or using a turntable as suggested by some users. Some of these models fall into the category of best bookshelf speakers under 300, but couple of them will set the base (pun intended) for higher price category review. Unlike passive speakers, active speakers do not need extra amplifiers or AV receivers. They are built-in and can be plugged in directly for the job. Some even come with microphone pre-amplifiers. Passive speakers need separate powered mixers. These mixers need to be connected to the speaker. They also have to be of similar power ratings and impedance. Active speakers are great for those who do not like to carry much. On the other hand, passive ones are a better option for ones who want more flexibility. Also, it is easier to customize with passive speakers by changing components. Speaker impedance is an crucial factor while choosing both speakers and amplifiers. Also known as the resistance, it tells us how much current is being drawn from your amplifier. The lower the impedance is, the lower is the restriction, meaning more current can flow. As current flow increases, the amp would need more power. So, low impedance means your amplifier has to take a higher load. High-end amps have wider ranges from 4 to 16 ohms. They can also support speakers with different impedance levels. It is not always wise to go for the lowest resistance though, as a lot of amplifiers will not support it. The woofer diameter of a speaker depends a lot on the user’s preferences. The larger the woofer is, the more bass it would produce. But if users decide to settle for a smaller woofer, they might have to add in subwoofers later on if they want a louder bass. You should also check the speaker dimensions to see if it fits in the desired location where you want to keep the speaker. Listening to check the sound is the best option. This is because two 3” woofers will not give, as much as a 6” one, even though it seems as if it should. As the sensitivity rating of a speaker increases, the loudness increases as well. In other words, sensitivity measures the effectiveness of the speaker’s ability to convert the input power to the audible sound. The average sensitivity found in speakers is around 88dB. 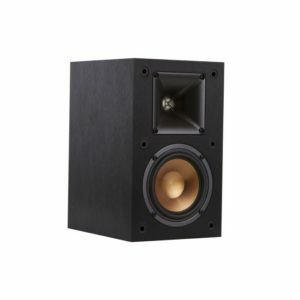 Speakers with sensitivity below 84db deliver poor sounds. And, best speakers with a range above 92dB deliver a better quality of sound. 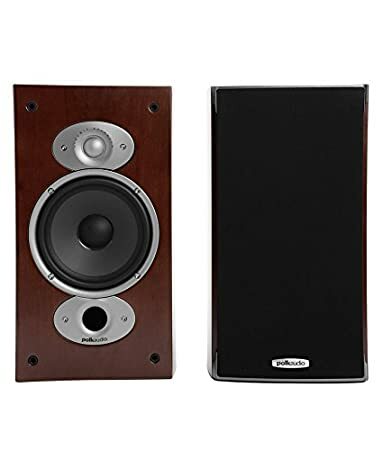 A thorough check-up of important factors, followed by skimming through models you can opt for is what will help you to decide on your best bookshelf speakers set for your budget While all of these are best bookshelf speakers under 300 dollars, they are very different at the same time. From the frequency response curves to the woofer sizes to the designs, a lot comes into play when you decide to invest in a machine. So take your time deciding on what you really need, the size of your space where you will use your speaker and the kinds of audios you will be listening to the most. A little research and you are good to go!